Pretty little T-Shirt with adorable embellishments. 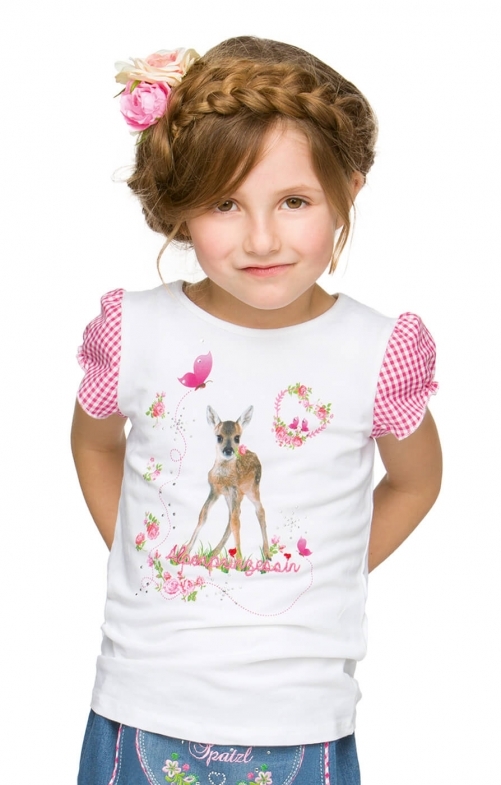 Add a fresh, sweet look to a precious girl's wardrobe with a traditional Sophie T-shirt. With pink gingham puffed sleeves, starburst crystal embellishments, and a Bambi-like graphic, this white top has all the features that little girls love. Comfort and easy care are additional benefits of this 100-percent cotton T-shirt.